Equinix has partnered with an Indonesia data center provider to establish presence in Jakarta. PT DCI, a company founded by a group of Indonesian data center industry players, will build out a 65,000 sq ft data center, where it will provide services to Equinix’ and its own customers. The deal gives Equinix foothold in one of Southeast Asia’s most populous countries. While it has the highest GDP in the region, its GDP per capita is among the lowest – far lower than that of Singapore, Brunei, Malaysia and Thailand. Once the first phase comes online – Equinix expects that to happen in the first quarter of 2013 – Equinix customers will have access to Indonesia and have Equinix’ quality assurances. The partnership is especially attractive for Equinix because of access to Indonesia’s financial markets, especially direct access to the Indonesia Internet Exchange. The deal gives PT DCI customers access to thousands of Equinix customers around the world. Clement Goh, Equinix’ managing director for South Asia, said rapid growth in data and network traffic was driving demand for data centers in Indonesia. PT DCI will build the data center in an industrial complex close to Jakarta’s center, according to Equinix. The first phase will provide space and support infrastructure for about 1,250 IT cabinets. 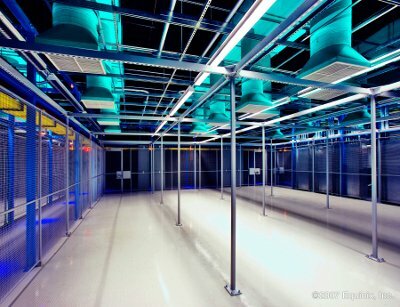 On Tuesday, Equinix also announced the launch of its third data center in Amsterdam.